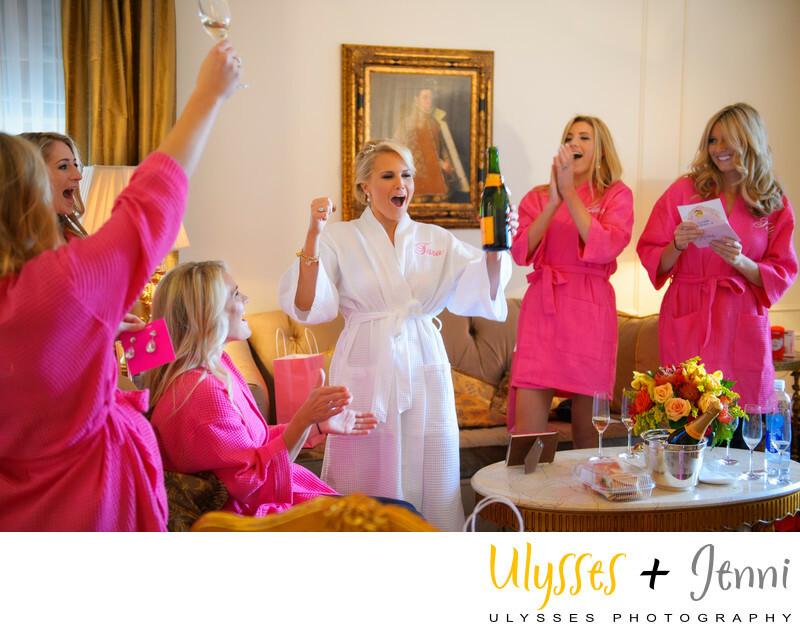 These fuschia robes that the bride gifted to her bridesmaids provide just the right pop of color. They readily reflect the energy of the room as they do their champagne toast. What a way to start a wedding day! The celebratory spirit continued right through the day for this NYC couture affair. Location: Fifth Avenue at Central Park South, New York City, New York, 10019. Keywords: #terik2014 (18), Bentley (18), Christian Louboutin (30), Fifth Avenue (18), Grand Central Station (21), Harvard Club NYC (18), Kim Hicks (18), new york city (24), NYC (81), pink (18), Rolex (18), Tara + Erik (21), wedding (528).